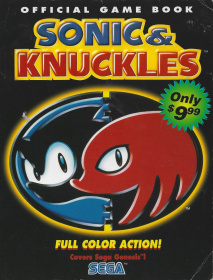 The Sonic & Knuckles Official Game Book is a US strategy guide published by BradyGames for Sonic & Knuckles for the Sega Mega Drive. It comes with full color maps and various artwork. This page was last edited on 12 October 2018, at 11:08.